5C Ng Ka Yu received the 4th Student Improvement Award organized by the Elsie Tu Education Fund for his significant improvement in 2017-18. 6C Tsoi Hiu Lam and 5E Choi Ka Hei have also received the Best Progress award for their improvements. 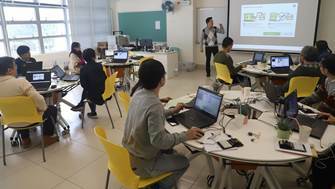 The morning session was conducted by the teachers from the IT in Education Centre of Excellence (CoE) Scheme. During the workshops, teachers from three other schools shared their experiences in implementing IT to different subjects. 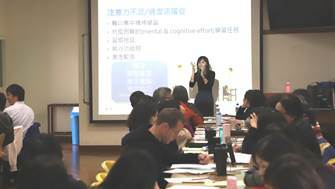 In the afternoon, school-based Educational Psychologist Miss Chik delivered a talk on the topic of learning needs of and accommodation of ASD and AD/HD students. 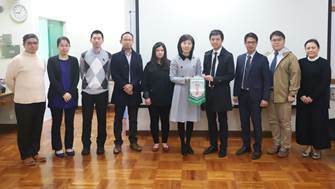 A Talk has been arranged for all the Form 6 students to enhance their examination skills in Chinese Language, English and Mathematics. 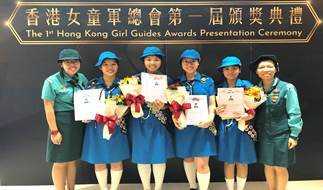 Various activities have been arranged during the Life Education Lesson, such as visiting the Junior Police Call Shatin region, Floor Curling training, Daffodil planting and making Chinese New Year food. 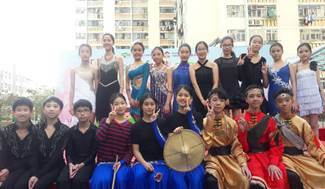 4B Lai Hugo Ho Kwong, Lo Sze Yin Desmond, Tam Tsz Ho, Yu Tsz Ching, 4E Ng Sheung Chun and Wong Pui Huen participated in the Hong Kong Budding Poets workshop organized by The Hong Kong Academy for Gifted Education. 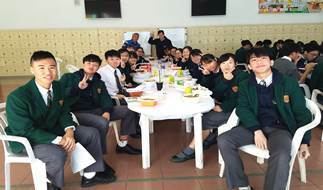 A special lunch gathering for Form 6 students has been arranged by the Guidance Team. 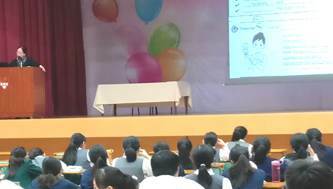 During the gathering, students and class teachers enjoyed their lunch together, supplies of popcorn and candy floss have also been arranged to cheer up our students for their coming examinations. 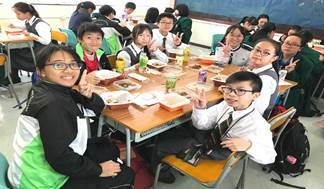 Lunch gathering has been conducted between the Form 1 students, Peer Counselling ambassadors and teachers from the Guidance team, helping the Form 1 students to adapt to the campus life. 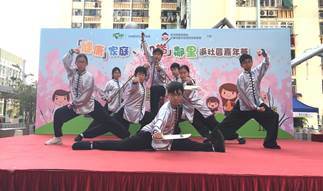 Our Dance Club and Chinese Martial Arts Club were invited by the Shatin Integrated Social Service Center of YWCA to serve as guest performers. 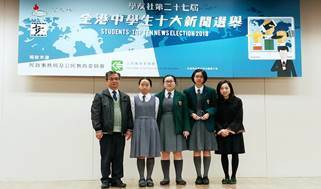 Miss Ely Lee, 5D Tam Nga Lam, 5E Tong Ka Lui and 3B Xie Yee Sin attended the prize presentation ceremony of the 27th students' Top Ten News Election. Our school has won the Most Active Participation School Award. 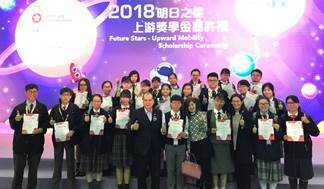 Miss Leung Wing Yee, 6B Yeung Lok Yiu and 6C Leung Tin Wing Tiffani attended the Future Stars - Upward Mobility Scholarship Ceremony. Both students have been awarded the scholarship for demonstrating resilience in adversity and maintaining positive attitude towards life and learning. Interview of "Effectiveness of the implementation of the new cycle of the School Development and Accountability Framework on fostering Hong Kong school development"
Ms Chan Wai Ni was interviewed by the University of Hong Kong to offer comments regarding the effectiveness of Chinese Language lesson observation. Conducted by Mr Samson Shew of Hong Kong Sincerity Travel. 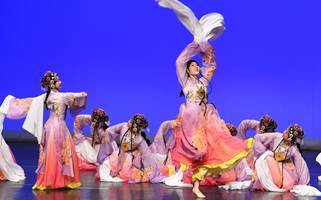 Ms Lau Pui Fan and Ms So Ka Wai led our Dance Club to participate in 55th Schools Dance Festival. 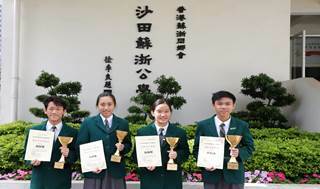 The team received two merit awards. 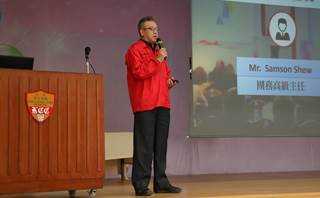 Mr Lam Siu Kai attended the event.